The Minister of Agriculture, Chief Audu Ogbeh has described the Anchor Borrowers’ Programme (ABP) introduced by the Governor of Central Bank of Nigeria (CBN), Mr. Godwin Emefiele as revolutionary. The minister said this recently, in company of Ebonyi and Kebbi States Governors, Dave Umahi and Alhaji Abubakar Baguda, during an inspection tour by the Presidential Task Force on Rice and Wheat production to several farms in Ebonyi State. According to a statement, Ogbe noted that the ABP on rice and wheat remains one of the greatest achievements by the CBN in the last 50 years. The minister disclosed that there had been tremendous pressure on the government to import rice in order to meet the demand for the commodity, which was an indication that those mounting such pressure never believed that the ABP was working. 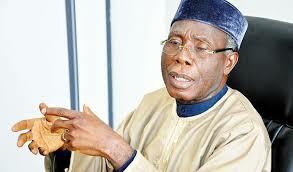 Ogbeh said that it does not make any economic sense to continue to spend scare foreign exchange resources on rice importation, when the country has huge potential to grow rice in commercial quantity, noting that each ship load of rice imported into the country displaces 12, 000 farmers from employment. The minister also stated that the money coming to Ebonyi state from other states that have placed order for Ebonyi rice will have significant impact on the wellbeing of the farmers and boost the economy of the state. He said time will come when Ebonyi State will generate between N6 to N7 billion from local supply of rice, noting that successive governments were unable to create wealth among rural dwellers until now. Emefiele said with the dwindling foreign reserve, the country could not continue to import rice, hence the President Buhari’s directive to focus on Agriculture especially rice production. Emefiele said with the support and commitment of the ministry of Agriculture, machines will be available to farmers for harvest in the coming year. The CBN Governor also assured the farmers challenges such as irrigation funding will be addressed.